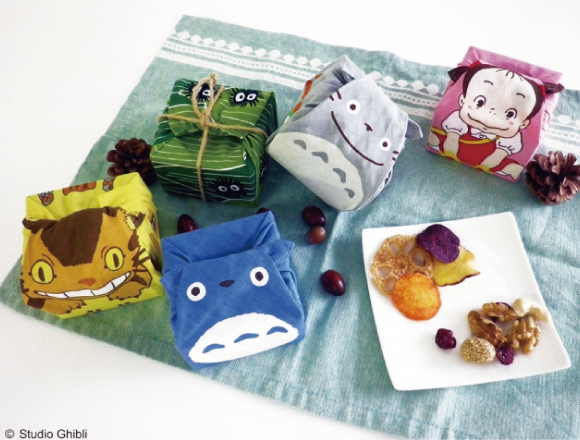 “Donguri Kyouwakoku” is collaborating with the Japanese-style towel speciality store “Kamawanu” and they will begin selling their products such as “Tonari no Totoro Mamegui Omiyage Mix Nuts (1,600 yen / tax not included) at Donguri Kyouwakoku throughout Japan and on its online shop from June. 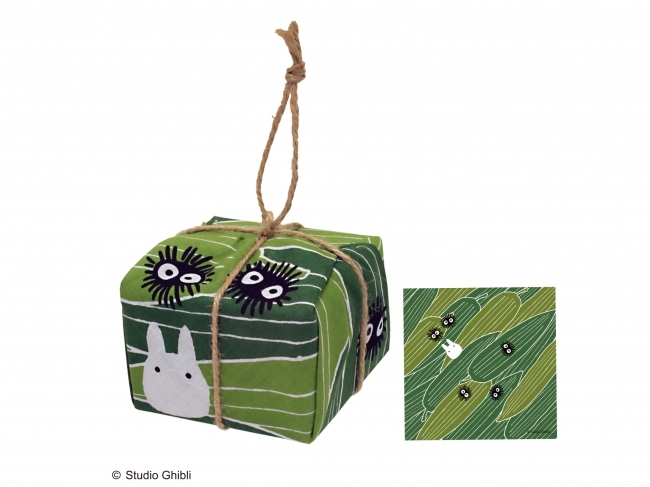 The product has a handle made of hemp rope based on the souvenir wrapped in bamboo grass which Ototoro handed to Satsuki and Mei in the movie. 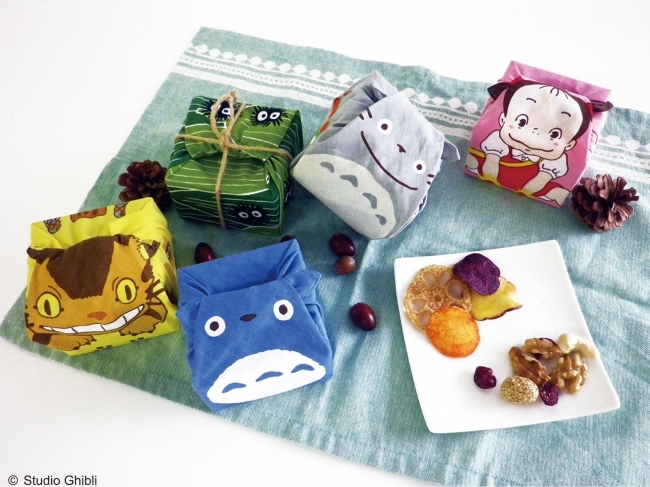 Five kinds of “Mamegui” which is filled with Totoro’s world will be released at the same time. 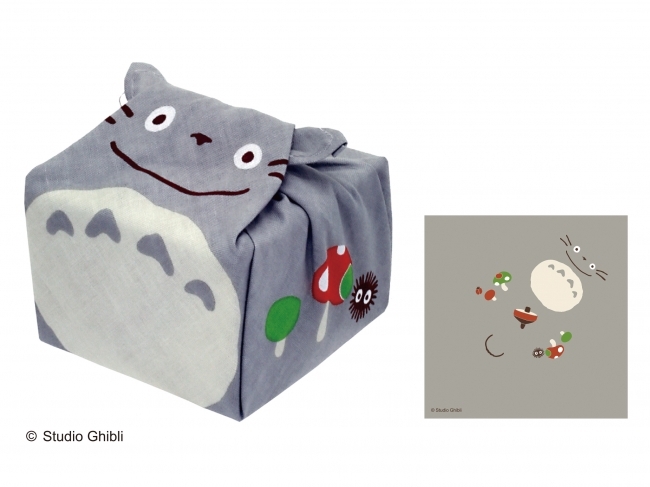 These products are suitable to give as souvenirs, presents and summer gifts. 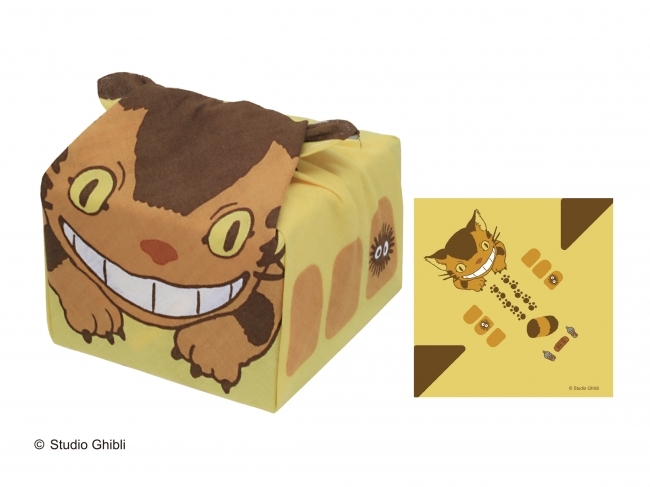 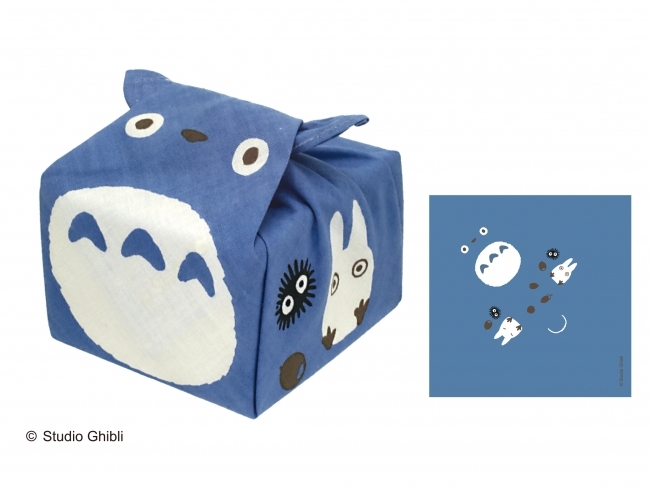 The products are so cute that the fans of Totoro will surely want to purchase all of them! 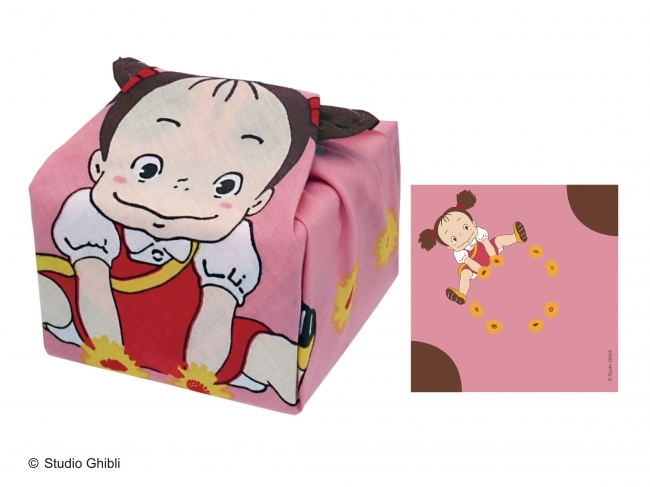 It is guaranteed that everybody will be happy if you bring these products when going out.